The thirteenth and fourteenth centuries saw an unprecedented increase in the production of manuscripts transmitting music repertoires with a new diversity of styles, genres, and subject matter, copied in both music-only anthologies, and in miscellaneous collections that interweave song, text, and illuminations. At the same time, techniques for specifically notating rhythmic duration emerged, a notation called “mensural” or “measurable.” Almost all polyphonic music (music composed for two or more parts) from 1300-1600 is notated in mensural notation, the rules of which changed little from c. 1350. Yet modern print editions distance today’s readers from the original experience of this music: first, by translating the original notation into modern notation; and second, by sorting and classifying this repertoire according to conventions associated with the printed book (that is, presenting it in volumes or series ordered by composer, genre, or country). makes the processes and tools for digitally encoding mensural polyphony in mensural notation freely available so that other stakeholders can easily and rapidly enlarge the dataset. The first stage of this project focused on a representative sample of 64 three- and four-voice motets from the French repertoire dating from c.1300 to c.1350 (that is, a repertory that bridges the ars antiqua and ars nova) and offers examples of both those styles of music notation. Presented here are 24 motets from the eighth fascicle of the Montpellier Codex, copied in the 1310s; 18 motets from Roman de Fauvel (copied c. 1317) and the Brussels Rotulus (copied c. 1330); and 22 motets from the Ivrea Codex that are also listed in the table of contents of the Tremoïlle Index (both these sources date from the 1370s or later). Working from the lessons learned during the process of encoding this repertoire, future plans include encoding a larger repertoire of medieval polyphony, most likely another self-contained ars antiqua repertoire, such as the remaining motets from the the eighth-fascicle Montpellier motets and/or the Roman de Fauvel, or from another fascicle of the Montpellier Codex, or perhaps the 100 motets transmitted in the Bamberg Codex. If you have a repertoire of compositions that you would like to encode, and have the time and/or resources to transcribe and proofread your transcriptions according to the process outlined below, please be in touch and we can offer further guidance. Mensural notation was developed in the late thirteenth century in order to more precisely denote rhythm in polyphonic music, and was the notation system that continued to be used until c. 1600. Mensural notation presents particular difficulties for encoding since it is a context-based notation. In other words, whereas the shape of a note and its duration are in a one-to-one relation in notation from the common practice period, this is not the case with mensural notation, where the same note shape can be used in different contexts to denote different durations. Thus the process of encoding mensural music is considerably more complex than encoding modern notation, especially because no currently available music notation software offers the possibility of notating music in scored-up mensural notation. The process for encoding mensural music developed during the course of this project is summarized below. the underlaid text (in the case of the Fauvel and Montpellier motets these texts are direct transcriptions from the manuscript source, expanding abbreviations, but without editing or standardising the spelling found; most of the texts of the Ivrea motets include the edited text found in the most recent scholarly edition of these works, as noted in the commentary for each motet). The compositions were first encoded using the music engraving software, Sibelius. These initial transcriptions were either completed either by the project director directly from the manuscript source, or scanned from a modern scholarly edition and the OMR then corrected in Sibelius. Next, the note values of the transcriptions were augmented to match as closely as possible the note values of the original notation, i.e., if possible, breves in the mensural notation were recorded as breves in the modern transcription, semibreves as semibreves, etc. Often, however, depending on the original mensuration, dots or ties had to be used to efficiently capture the note relationships between the levels of the mensural system. View, for example, on our website the modern notation version of a Montpellier motet (for example Li savours/Li grant) compared to an ars nova piece like Apollinis/Zodiacum, which has to use more dots and ties because it is in perfect modus, imperfect tempus, major prolation. In the Apollinis/Zodiacum modern transcription, the mensural a minim is notated as a modern minim, but a semibreve becomes a modern dotted semibreve (to avoid having to use multiple triplets, which can be time-consuming to notate with Sibelius), a breve is represented by a dotted breve, and a long as a dotted long tied to a dotted breve. This table summarizes the time signatures chosen for each possible mensuration combination. Next, specific articulation marks were added to represent specific notational features, as summarized in this table. To view the original Sibelius transcriptions, with all these markings indicated, please visit this project's Github site. These files were then exported into the (XML-based) MEI format using a plugin available for Sibelius that transforms the Sibelius file into an MEI file. This plugin, called SibMEI, was developed in a project led by Andrew Hankinson and is available on Github. Finally, these MEI files were then processed through the CMN-MEI_to_MensuralMEI_Translator script developed by Martha E. Thomae for this project. This script converts the the MEI files of the modern notation into files that encode the mensural notation and which conform to the MEI Mensural module. The script does two things: it converts the articulation markings into the appropriate mensural MEI elements and attributes, and converts the modern notation note names and rhythmic durations into the appropriate mensural values. For the Github repository of this script and more details, see https://github.com/DDMAL/CMN-MEI_to_MensuralMEI_Translator. Finally, two additional scripts written by Elizabeth Koshelev were run on the files. The post-processing script cleans up any artifacts left by the Sibelius encoding (e.g., instrument specificiations, etc. ), and adds some formatting specific to this project (such as making the barlines have a 'dashed' format). The second script inserts the appropriate metadata for this for each motet encoding into the meiHead element of the MEI files. For details on these scripts, see the Github site for this project. Two versions of the MEI files are made available on this site: the original MEI file of the modern notation that was generated by the Sibelius plugin, and the MEI Mensural file that conforms to MEI Mensural module. The mensural transcriptions are presented here online in score using mensural notation glyphs via a customization of Verovio. Verovio is an open-source library for engraving MEI music scores into SVG, a format that can be displayed on the web. The Verovio library also generates an audio playback (in MIDI) that highlights the note shapes in the transcription as it plays in real time. The Verovio code library also provides the functionality to download PDFs of the SVG image. For this project, Laurent Pugin, the lead developer of Verovio, extended Verovio's functionality so that it could display the scored-up transcriptions of MEI files encoded in black mensural notation, and produce the highlighted playback of mensural notation in a variety of MIDI instrument formats. For most of the motets presented here, digital images of the original manuscripts are available online. In the case of the Roman de Fauvel manuscript (BnF Ms f. fr. 146), the Bibliothèque nationale de France has made its images available through the IIIF framework, and thus those images can be accessed directly by the Measuring Polyphony website. The image viewer used here is the open source Diva.js, a project managed by Ichiro Fujinaga and Andrew Hankinson, and which has built-in support for IIIF. 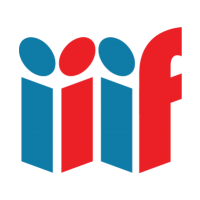 When manuscript images are not yet available through IIIF, links to the institution’s websites are included here, so that users can view the manuscript images directly on the appropriate institution’s website. A lightweight web architecture has been employed. Since the metadata for the music manuscripts is already available through DIAMM, any additional metadata about the encoding of each motet is stored directly in the meiHead element of the MEI files, and thus there is no backend database. The MEI files for both the modern and mensural notation versions are available for download. was built and hosted on Github’s Jekyll Pages, a free open-source solution hosted by Github for building stable, simple, and extensible websites. Semibreves: In the ars antiqua repertoire, which includes the Fauvel motets, all semibreves in groups of three or more were encoded simply as equal semibreves separated by dots of division, except when a group of semibreves includes a semibreve marked with a descending stem. In the ars antiqua motets of the Montpellier Codex, groups of two semibreves were transcribed in the modern notation version as two equal semibreves, but were automatically translated in the mensural MEI file into encodings that follow the Franconian conventions of minor followed by major, that is, the second semibreve (major) has a duration twice as long as the first (minor). In groups of three semibreves, all semibreves are minor (and of equal duration). For groups larger than three, the encoding here does not yet offer interpretations for performance, but simply encodes these semibreves as filling up one tempus unit or breve. In practical terms, this means, for example, in a Fauvel motet with binary breves, in the modern notation encoding groups of four semibreves as a tuplet with the ratio 4:2, which translated in the mensural encoding as four semibreves fitting into the time of one breve. For example, go to the motet Tribum/Quoniam and click the 'Switch score to modern notation' to see the 4:2 tuplets that encoded four semibreves in the time of two, i.e., within one breve. In this same motet, groups of three semibreves are found with descending stems on the first semibreve of the three. In this case, the modern notation version encoded the first note as a semibreve, with a tenuto mark, and the next two semibreves in the ratio 2:1, i.e., two semibreves in the time of one. In addition, in the Fauvel motets, it is sometimes unclear whether breves are divided equally into three (the Franconian interpretation), or equally into two (the mensuration that ars nova theorists were later term imperfect tempus). In order to encode the motets, a decision had to be made about whether the breves were binary or ternary. I tended to default to ternary breves, unless the motet really obviously seems to work better with binary breves, or is found in other sources clearly notated in imperfect tempus, or is cited as such in an ars nova theory treatise. Encoding semibreves in this way was done to allow for an eventual flexibility in the interpretation of the mensural notation. For example, it is possible to teach a computer that a pair of semibreves (that look the same) in Franconian notation should be sung in performance as minor followed by major. Thus, in the encoding, this durational information can be separated from the encoding of the graphic appearance, which can simply record that here there are two semibreves for a breve. By not imposing a durational interpretation on those groups of four or three semibreves that were not marked with stems by the notator allows for the further development on this project where a user could conceivably switch back and forth between different editorial interpretations of the overriding mensuration or particular local rhythmic decisions (for instance, they might want to try out the Fauvel motet Aman novi/Heu in either perfect tempus, or imperfect tempus). For now then, the modern notation versions simply ‘fit’ groups of semibreves into the duration of a breve, and when the interpretation is relatively clear - such as when pairs of semibreves are used in Franconian pieces, or when groups of three semibreves are found with a descending stem on the first semibreve in a piece that appears to use binary breves (for example Tribum/Quoniam), then a durational interpretation is included in the mensural encoding, which can be heard in the MIDI playback, or viewed in the source code for the MEI file. Additional, alternate, durational interpretations can be added in the future. Barlines: While not present in the manuscript source, for clarity dashed barlines in the mensural versions mark modus-level units in each voice. Accidentals: Where accidentals are notated on the staff, they are marked as such in the transcriptions. Additional accidentals (whether implied by the near presence of an accidental on the staff), or by vertical sonorities, or approaches to cadences, are marked above the staff. A final proofreading is yet to be completed for a small number of files, in each case, this is noted in the Commentary; notifications of any inaccuracies in the transcriptions are welcomed. Hyphens between text syllables: In the export of the texts from syllables, the placement of hyphens between syllables needs to be corrected. Hyphens are not currently displayed in this iteration of the interface (May 2018). Ligatures: While ligature groupings, including coniuncturae, were recorded in the Sibelius transcription, Sibelius is primarily an engraving software concerned with the graphic appearance, and in Sibelius the brackets that mark ligatures are not associated properly with specific notes (i.e., they are not specifically attached to the notes at the beginning and ends of the ligature brackets). Thus it is currently tricky to export the ligature markings out from Sibelius to MEI. We are pondering solutions, however (May 2018). Plicas: Currently Verovio does not display a specific grapheme for notes marked with plicas; these are, however, encoded in the mensural MEI file, and viewable in the code (May 2018). Ficta: There is a current issue with distinguishing between original and added accidentals (ficta accidentals) in the SibMEI export. We are in the process of manually correcting the added accidentals, but not all compositions have been updated yet. If ficta has not yet been hand corrected it is noted in the commentary (May 2018). Barlines in mixed-modus motets: Some motets have different mensurations in different voice parts, for example, Colla/Bona has a tenor in imperfect modus and a motetus in perfect modus. One major drawback of Sibelius for students of early music is that it is not currently possible to notate different meters in different parts in Sibelius. A significant feature of this project is that the mensural encodings in this project, correctly encode different mensurations in different voice parts and align the voice parts properly in score format. However, the barlines present in the current mensural encodings artifacts of the original Sibelius encodings and thus in mixed-mensuration pieces will be in the wrong place. They must be moved manually by the encoder to the correct positions. We are in the process of making these manual fixes to the barline placement in the motets with mixed-modus mensurations. We are also working on developing the automatic placement of barlines according to the mensuration of each voice (June 2018). There are 8 motets for which transcriptions have been made and proofread, however, because of some of their quirky mensuration issues (such as changes of mensuration mid-piece, or transient changes through the use of coloration, or issues with translating specific combinations of rests), they currently cannot be transformed accurately with the MEIMensural script, and are only viewable on this site currently in their ‘modern notation’ versions. These motets are Douce/Garison, Portio/Ida, Tuba/In arboris, Garrit/In nova, Zolomina/Nazarea, Mon chant/Qui doloreus, Almifonis/Rosa, Impudenter/Virtutibus. These pieces present useful case studies as we begin the next phase of this project, which is to consolidate lessons learned from this project in the creation of a streamlined yet flexible process, which would include the the development of a simple mensural MEI editor, that would allow musicologists to input ars antiqua or ars nova mensural notation directly into an web-based editor, and view, hear, and correct scored-up versions during the actual process of transcription. One of the primary purposes of this project is as ‘proof-of-concept’ and lessons learned will be applied to the next iteration of this project, to be implemented on a larger scale, with user feedback. Therefore, any responses, with respect to the interface, repertoire chosen, bugs, or ideas for further development are appreciated immensely and can be sent directly to the project director, Karen Desmond. This 'About' page was last edited by Karen Desmond, June 11, 2018.